It is an odd feeling to find out that someone you knew died some time ago. Today, with sadness, I remember a fascinating person I saw almost every week for years. Even so, I can't say I knew her, since she was a guarded figure. She told me some haunting things about her past, but generally she spoke an eternal language which often skipped all the details that make 'normal' conversations make sense. This woman epitomized characteristics which we almost never encounter in this day and age: mystery, wisdom and silence. She attached herself to all the things which elude busy multi-taskers, especially the essential truths evident in living things. Sometimes, the people who teach you the most important values and lessons seem to be obscure, and so she seemed. The clay tablets were put inside this machine, the Reflectance Transformation Imaging System, which uses a combination of 76 separate photographic lights and computer processing to capture every groove and notch on the surface of the clay tablets. It allows a virtual image to be turned around, as though being held up to the light at every possible angle. These images will be publicly available online, with the aim of using a kind of academic crowdsourcing. ... [Oxford professor Jacob Dahl] says it's misleading to think that codebreaking is about some lonely genius suddenly understanding the meaning of a word. What works more often is patient teamwork and the sharing of theories. Putting the images online should accelerate this process. Proto-Elamite is the last un-deciphered writing system from the Ancient Near East with a substantial number of sources (more than 1600 published texts). 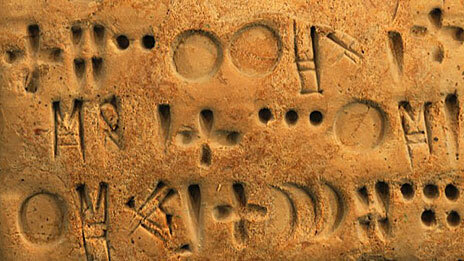 It was used for a relatively short period around 3000 BC across what is today Iran. Proto-Elamite is a derived writing system originating from the Uruk invention of writing in southern Mesopotamia during the middle of the 4th millennium BC. Scribes in Susa in southwestern Iran took over a majority of the numerical signs as well as many of the numerical systems from the older proto-cuneiform system. 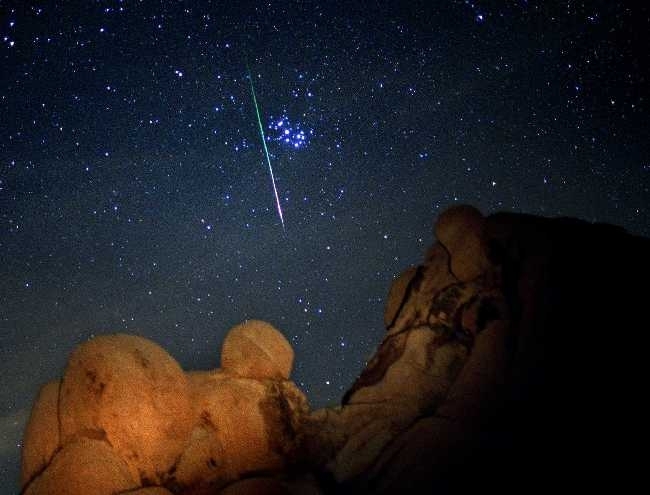 The Leonids are coming to night skies later this month. A moonless view should make a good show. Image Source: NASA. See below the jump for this month's amateur stargazing guide, prepared by Web masters of the official site of the Hubble telescope. This video guide is mainly for the northern hemisphere. For more precise information, try the wonderful, free open source planetarium download, Stellarium. It allows you to enter your coordinates anywhere on earth, and will generate a local stargazing guide according to any date you enter. There is a total solar eclipse visible from Australia and New Zealand on 13-14 November. The Leonid meteor shower is coming this month, which peaks on 16-18 November. The Leonids are mainly visible in both hemispheres. The video also mentions a penumbral lunar eclipse on 28 November visible to Alaska, Hawaii, New Zealand, Australia, and most of Asia. From Jean Paul Gautier's Fall 2010 Couture Collection. Image Source: Daily Fashion and Style. See some Youtube videos below the jump, which once again confirm the pace of the exponential growth of digital culture (thanks to -J. for sending the link). Given the breathtaking pace of change, where are we headed? One site discusses the future, Future Timeline Events. Bear in mind that almost anyone who predicts the future, with the occasional lone exception, is usually wildly wrong. You can see some predictions for the coming two centuries, with which you may or may not agree. One thing these predictions make clear: if we survive, sooner or later, our destiny lies in the stars. Hallowe'en is a reminder that the modern age swept aside beliefs in whole pantheons of natural deities, including some very frightening demons. One of the latter is the Kushtaka. This evil spirit, profiled on Brad Meltzer's Decoded episode about Alaska's mysteries, is so troubling to local native peoples that the site of television interview was purified after Meltzer's crew departed. 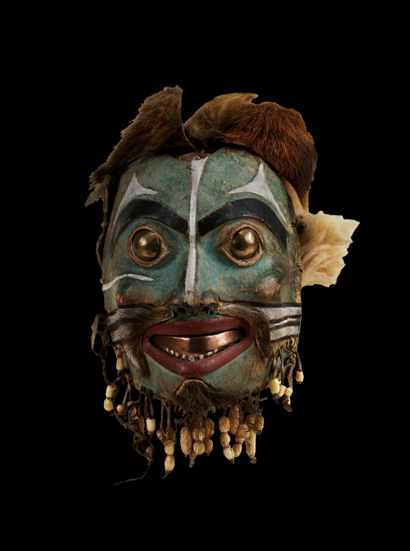 Kushtaka, or 'land otter man': "Canoe prow ornament representing Land-Otter-Man, Tlingit, from Sitka, Alaska, USA. Found at Nass River, British Columbia, Canada, in 1918." Image Source: Werner Forman via Heritage Images. 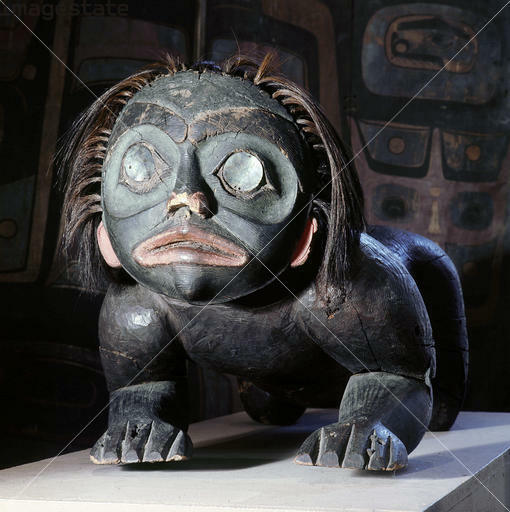 The Kushtaka is a soul-stealer, shape-shifter and otter-spectre feared by the Tlingit and Tsimshian peoples. These days, otters are viewed as people-friendly creatures. Perhaps it is their human expression that made them the subject of shape-shifting mythology. The Kushtaka is rather like the equally malevolent Native American monster, the Wendigo. Kushtakas are also sometimes likened to sasquatches. It is believed that the Kushtaka lures people away to their deaths in deep waters. It usually takes the form of a person known to its victim, such as a kindly grandmother beckoning to her ill-fated grandchild from the edge of the forest. It will imitate the cries of a drowning woman or baby in waterways to lure would-be rescuers into treacherous rivers. 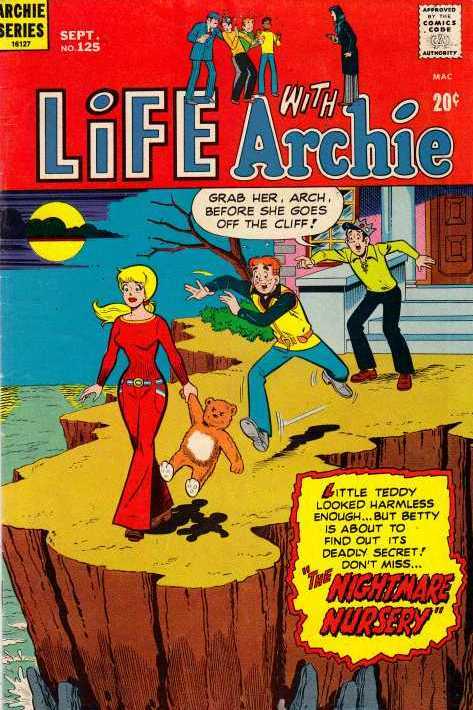 It is also known to call sailors along Pacific American coasts to their deaths. Kushtakas are said to whistle in a telltale, low-high-low tone. There are some Kushtaka stories online. Kushtakas make war on humans by spreading a plague amongst them in this legend from the Tlingit people. In this story, they take possession of women in a community and incite a bloody conflict. And in this story, a helpful but still spectral Kushtaka haunts a bereaved couple by appearing to them as their dead son and bringing them fish to eat. 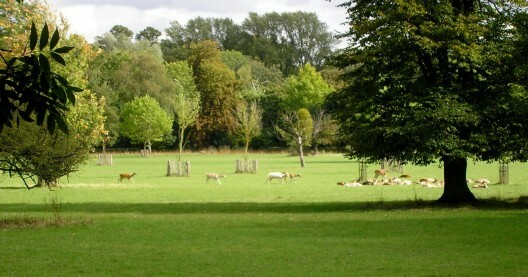 Those whom the Kushtakas help or harm run the risk of becoming Kushtakas themselves. "Tlingit Native American, Land otter man, Clan: Ganaaxteidi. Place: Haines." Image Source: De Peper Muntjes Knipper. 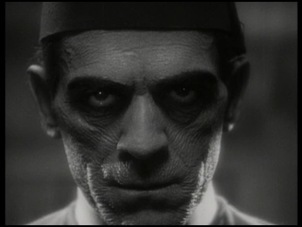 Boris Karloff (real name: William Henry Pratt) in the The Mummy (1932; see the trailer here). He was also host of The Veil, a never-broadcast and rarely seen 1958 horror TV series. Image Source: The Black Glove. This is what the Web does best. 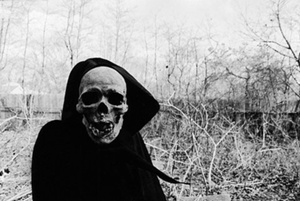 Here are some fearsome films and old school horror TV series for Hallowe'en! Go here to watch a collection of Italian exploitation horror films on Youtube; warning: the films in this particular playlist are brutal and controversial (Hat tip: Lost on 42nd Street). Boris Karloff - The Veil - American TV series (1958) - "Hailed by critics as "the greatest television series never seen" (according to DVD release publicity) The Veil was never broadcast." All series and films belong to their respective copyright holders. Links are provided here under Fair Use strictly for non-commerical discussion and review. 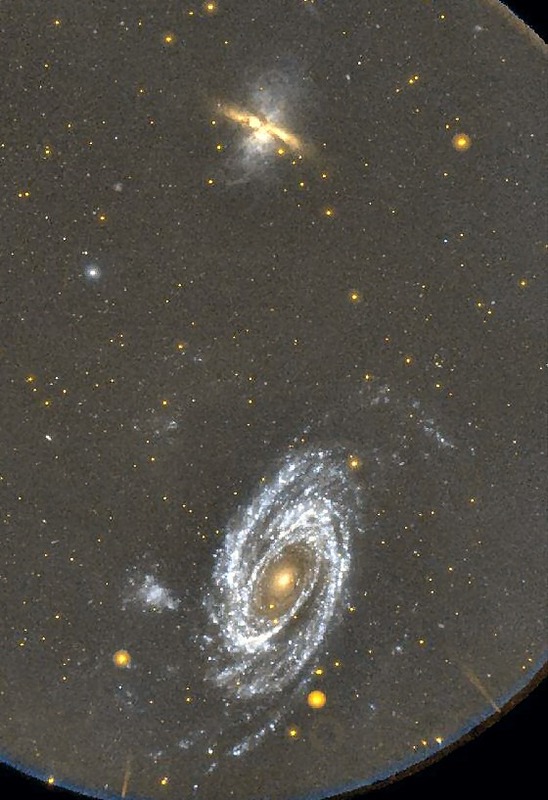 Bode's Galaxy M81 and the Cigar Galaxy M82 [at top] as photographed by Michael Weiland of the Interessengemeinschaft Astronomie an der Universität Konstanz (Astronomy Interest Group at the University of Constance). 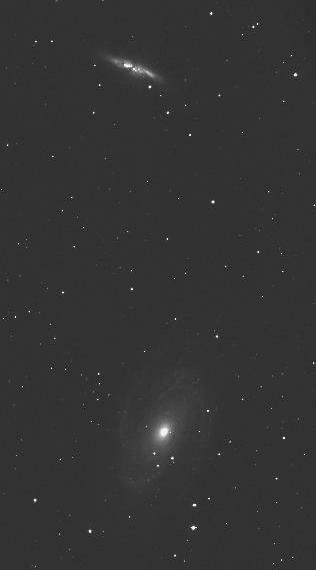 Image Source: The Messier Catalog. Mainstream thought easily laughs off UFOlogists. Some researchers have suggested that alien-seekers simply subconsciously mapped demonology and other spectral mythologies onto futuristic, faux scientific narrative tropes. Other commentators have been so literal-minded as to read that mapping backwards, and see (as Mac Tonnies partly did) in our superstitions about elves and fairies a cultural crypto-log of alien visitation. This so-called unified theory of strangeness is hard to believe. "The type Ir-II galaxy, M82 (NGC 3034), also known as the Cigar Galaxy (top), shows the results of extreme rates of star birth and death. Supernovae, the death explosions of massive stars, contribute to a violent wind of material expelled from M82's central regions. The burst of star formation was likely triggered a mere 100 million years ago in the latest of a series of bouts with neighbouring large galaxy M81 (at bottom)." Image Source: *Astronomy.